Q: Should I choose Blood or Breath? There are too many possible variables to give a definitive answer, but generally I would prefer: If you consumed any drugs (prescribed, legal or illegal) that could cause impairment, then breath because breath does not detect anything other than alcohol. I do not recommend that anyone stopped for DUI admit to taking any drugs, even prescribed drugs because you can be convicted of DUI based solely on your prescribed medication if it causes impairment). If you consumed no drugs(prescribed, legal or illegal) that could cause impairment and you consumed little or no alcohol then choose blood. As blood gives me the opportunity for an independent retest, that more often than not disputes the government evidence. The dangers of being wrongly accused and convicted of DUI are great with Breath Testing due to high variability in the human body, margin of error in breath testing and many other factors that can cause falsely high readings. If you’re buzzed but don’t want to face a long suspension for refusal, then typically I would say to take breath due to a larger margin of error. HOWEVER many California DUI’s with blood testing lately at the DOJ are coming back unreasonably high. The independent lab that I use to retest the blood uses a very reliable technique and they have been finding a very large percentage of Government tests are high. In the month prior to writing this I have personally seen the following dramatic discrepancies: Government 0.11% BAC, Independent Reliable Lab 0.08% BAC; Government 0.09% BAC, Independent Reliable Lab 0.07%BAC; Government 0.22% BAC, Independent Reliable Lab 0.18%BAC. Never did the government err low according to this testing. Independent testing has also shown that my clients’ blood samples have been: subjected to high heat, stored with unlawful amounts of preservatives, taken in violation of the law. Q: Should I consent to test if I am stopped or arrested for DUI? For the vast majority of people arrested for DUI, the answer to that question is a resounding YES! This is due to the fact that failing to submit to a chemical test if lawfully arrested for a DUI is a separate and distinct crime that will impose a significantly harsher drivers license suspension. This does not mean that you should submit to all tests! In fact, you have the legal right to refuse to take any breath, blood, or urine test UNLESS you are actually lawfully arrested for DUI and told about California’s Implied Consent Law prior to being asked if you will submit to a test. So you should politely refuse to take the preliminary, or PAS screening device, but do not refuse after being arrested. Do not expect the police to allow you to consult with an attorney before choosing the test as case law says that is not required. Q: What are the maximum penalties? Will I have to go back to jail? The maximum penalty for a “first” DUI is 6 months of county jail, fines, fees, probation for years, ignition interlock device, license suspension, car impound, etc. Fortunately, I have not yet had a DUI client sentenced to the maximum. My clients have not, to date, had to go back to jail on a first time non aggravated DUI. If you are convicted of 2 DUI’s within 10 years of each other then the minimum sentence is typically 10-30 days of work release and the maximum is 1 year. Additional possibilities include jail, fines, fees, probation for years, ignition interlock device, license suspension, car impound, etc. In El Dorado and Placer Counties I am frequently successful negotiating statutory minimum sentences and keeping client’s out of jail even when the government has a very strong case against my client. Weaknesses in the case if any that we identify we will use to negotiate a better resolution or use to defend the case at suppression hearing or trial. Third Time DUI’s and DUI’s with injury carry significantly enhanced penalties and require extreme care. To date, I have successfully defended allegations of Felony DUI with Injury, Felony DUI, Third and Fourth time DUI’s. An experienced attorney can make a huge difference. Q: Can you handle a DUI if I have an out of state license? Because my office is in Tahoe, a major vacation destination, I represent many clients who are arrested for DUI on vacation. I am very familiar with out of state licensing issues and while I cannot provide legal services outside of California, I do everything in my power to protect your driving privilege and have an outstanding record of avoiding out of state license ramifications. Q: What type of Lawyer should I hire for my DUI? You should hire a DUI lawyer, not just any attorney. I focus solely on criminal defense and a very large portion (sometimes over 50%) of my entire practice are DUI cases. I handle each and every case personally. I personally evaluate and prepare any defense, negotiation strategy, trial strategy, and DMV license suspension hearings. I offer a well-trained team and can immediately offer any and all necessary support to defend your DUI. These often necessary services include: private investigation, blood and urine retesting and expert services, process serving services, and trained DUI Admin support. You should hire an attorney familiar with the DUI investigation process and with a familiarity of the Field Sobriety Tests, Police Reports, Legal Forms, and alcohol testing. I have expensive training and extensive experience with all of the matters discussed above and personally handle each case. Your case will not be assigned to a junior attorney. Q: Should I contact the DMV myself? So what happens when the DMV makes a mistake and your oral request for hearing within 10 days is not documented? What happens when any other error in the system causes them not to issue a stay of your license suspension? Your license suspension wrongly takes effect and is communicated to police officers who run your plate or license… You get arrested for driving on a suspended license… Your car gets towed. You get prosecuted for another crime… Everyone accuses you of lying when you try to say “but I called the DMV and my license shouldn’t have been suspended!”…..because you followed the bad internet advice and called the DMV. Don’t call the DMV. Call Teri and me. And we will handle your case like the DUI team we are: Full Time Professionals. We won’t call the DMV and make an oral demand on your behalf because we have defended many DUI’s and have seen many DMV mistakes. The written demand will be properly prepared and served. When prepared by us your written demand will have all of the legally required information without adding additional information that may help the DMV suspend your license. We anticipate that the DMV will occasionally screw up and protect you from that to the best of our legal ability. When hired, we will cause to be served upon the DMV a written demand to protect your right to a hearing and your right to a stay of your license suspension. This keeps you lawfully driving during the course of our investigation and DMV hearing. We generate written proof of service from a trained team member who is prepared to testify under penalty of perjury exactly when your legal notice was served on the DMV and exactly when we received confirmation of that service. Written proof of service and confirmation of receipt is documented as well. An experienced DUI Team makes a difference. We have saved many clients from DMV mistakes in the past! I have seen people lose thousands of dollars over a DMV mistake. We protect real people from those mistakes. This 10 day deadline is one of the most important deadlines in a DUI. There is no benefit or cost advantage to waiting. 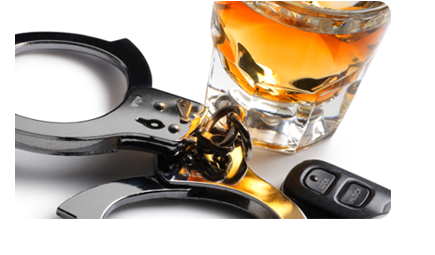 I offer a complete DUI service that includes all necessary legal services for your DUI. Q: I read online how to make a 10 day DMV demand. Should I do it myself? I do not recommend that individuals make their own DMV demands if they have the ability to hire an attorney first. If you can’t hire an attorney, yes, make the demand. Otherwise, let my office do it for you and know with confidence it was done right. Think about what many online DUI articles suggest: “call the DMV and make the demand within 10 days.” That is horrible advice that invites an arrest, towing of your car, and additional criminal consequences. When you call you don’t create a written, legally admissible record. Q: Can I wait to hire an attorney for my DUI? Why do I need to act now? You should act promptly when arrested in California for DUI as the first major deadline is typically only 10 days from your arrest date. If a demand is not made properly within the 10 day period you will suffer a drivers license suspension on the 30th day following your arrest and can not continue to drive. Contacting me and allowing me to make the proper demand in a timely fashion will allow me to keep you driving at least through the hearing and decision from the DMV. Time is of the essence in a DUI defense, as we are trying to gather a significant amount of scientific evidence in a short period of time to avoid prolonged driving suspensions, insurance consequences, possible jail, fines and fees. Q: Do I need to go to court? I signed a promise to appear in court and was told it would be a crime for me not to go to court. Will my bail be forfeited? The vast majority of my DUI clients avoid the courtroom entirely. They can concentrate on their lives and jobs while knowing that I am investigating their case, defending and negotiating where appropriate and updating them when major events occur. This is a huge benefit to using me as your DUI Attorney, particularly if you live out of county, state, or country. In some cases, such as felony DUI charges or DUI with felony possession charges you are required to appear initially and thereafter when directed to appear personally by the Judge. Clients charged in El Dorado (South Lake Tahoe, California Side) need not appear in court If I am hired for a Misdemeanor DUI unless directed to do so by the Judge. To date that has not been required of any of my clients. Clients in Placer county have also been able to successfully appear through me without stepping foot in Court. This is true for Alpine County DUI clients and also Mono County Clients. Possession can be shown in three different ways: actual, constructive or joint. Actual possession is immediate physical control over the drug. This means that it is on your person, in your pocket or purse, etc. Constructive possession occurs when the drug is not found on the defendant, but is found in an area in the exclusive control of the defendant; examples of an area in the defendant’s control include his or her house or car. Joint possession is when the controlled substance is found in an area or object shared by multiple people. Q. What is HS 11350? California law makes it illegal under HS 11350 for a person to possess a controlled substance without a valid prescription. The United States Controlled Substances Act states that a controlled substance may be either illegal drugs or drugs that would be legal were there a valid prescription. The prosecutor must prove 4 different things to charge someone with violating HS 11350: possession of the controlled substance, knowledge of the existence of the controlled substance, knowledge of the substance as a drug, and a sufficient volume of the drug to be used as a controlled substance. Q. What kinds of penalties can a person expect from being convicted of HS 11350? 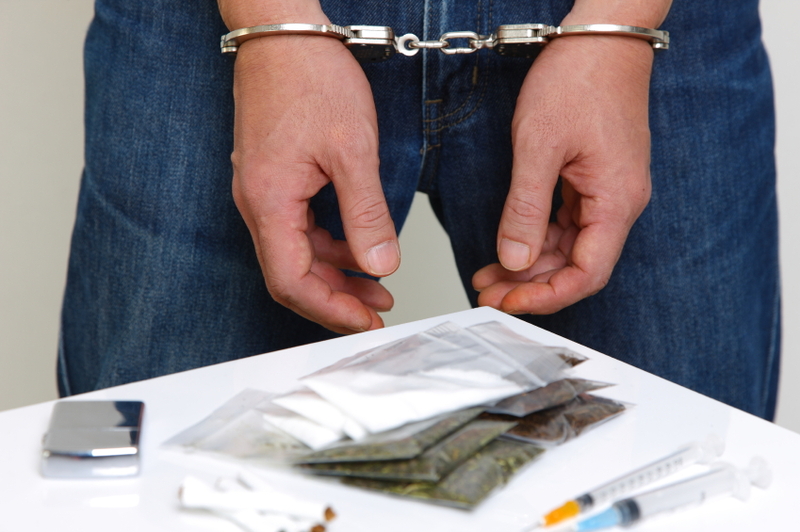 Possession of a controlled substance can be charged as either a felony or a misdemeanor. If charged with a misdemeanor, a person can expect to spend as long as a year in county jail. Misdemeanor offenders may qualify for alternative sentencing in a drug diversion program. 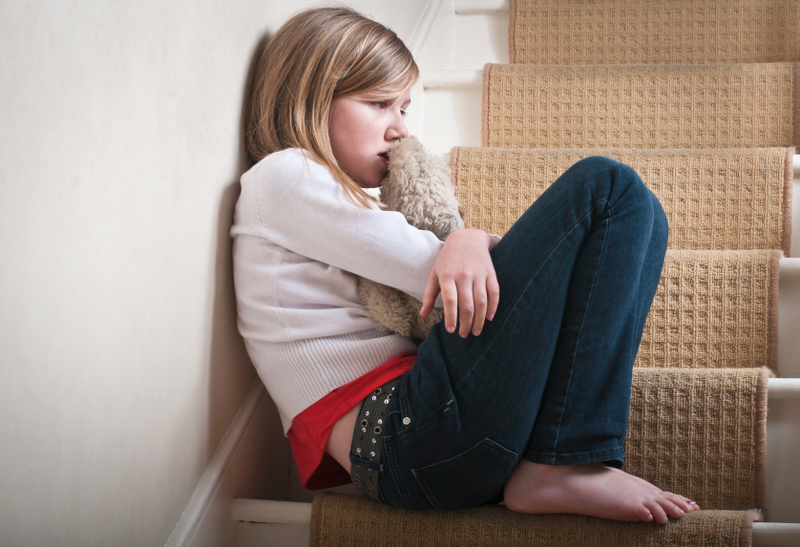 A felony has more serious consequences and can possibly lead to up to three years in state prison. The variability of potential charges and sentences makes an experienced attorney all the more important when considering options. This is especially true for drug diversion alternative sentencing; while this could potentially lead to no jail time and charges being dismissed, the limitations and requirements are complicated. Best results can be expected by contacting an attorney experienced in this area. Q: How can I change or modify my family law order? All support orders can be modified, unless the parties have previously agreed that the order is non-modifiable. In order to modify a final order, we have to demonstrate that there has been a “change in circumstances” since the current order was made. This means, for example, that a significant change in the income or expenses of either party can be the basis of changing a child support or spousal support order. In California, a divorce takes at least six months from the date the responding party is served with the Petition for Dissolution of Marriage. California has a mandatory 6 month waiting period before a divorce can be final. Depending on the complexity of the issues, a divorce case can take much longer. Q: What are the benefits to hiring an attorney? If I did it, should I just go plead guilty? Perhaps the greatest benefit of using an attorney to negotiate your case over just pleading guilty is having a negotiated disposition verses and open plea. If you go to court on the date you have promised to appear and say you did it, I.E. plea guilty without a previously negotiated disposition you will be at the mercy of the judge who will sentence you based usually upon a statute that provides a minimum of 48 hours and a maximum of 6 months of county jail. As soon as you enter your plea you have no power over that judge whatsoever and he or she is completely within the law to sentence you to 6 months of county jail. This is the result of you just “admitting it” without taking the benefit of a negotiated disposition. The huge difference with the negotiated disposition is that I have already agreed with the DA what your maximum sentence will be, or typically that your sentence will be to a reduced charge with a minimum sentence. You will know before you ever admit anything exactly what the consequences will be. If you use me, I will go to court for you. I will tell the DA and Judge that I am your attorney and that, for now, you are entering pleas of “not guilty”, because that is the only way to utilize your constitutional right to an attorney. They are not allowed to hold your exercising of a constitutional right against you. I will thereafter demand all of your discovery (police reports, etc.) and will investigate your case to see if the government is likely to have lawfully obtained admissible evidence of each and every fact they have to prove. If they do have this evidence then I will discuss the matter with you and thereafter negotiate with the DA to obtain a negotiated disposition, usually for the absolute minimum. After negotiating with the DA, I will discuss the case and position with you and we will resolve your case or fight on depending on the circumstances.